Omaha Steaks Gift Cards are tasteful gifts for friends, family and business associates. 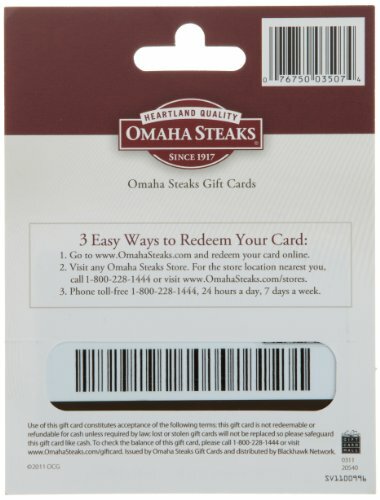 Omaha Steaks gift cards make the perfect gift for birthdays, weddings, holidays, corporate gifts and more. Omaha Steaks Gift Cards are tasteful gifts for friends, family and business associates. 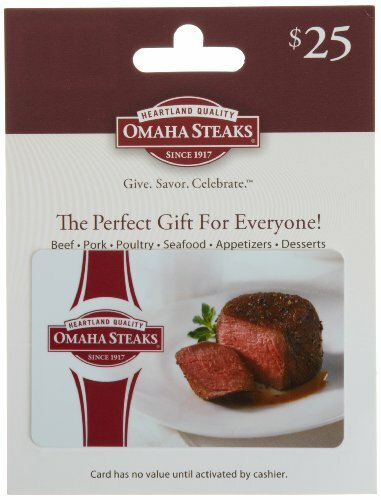 Omaha Steaks gift cards make the perfect gift for birthdays, weddings, holidays, corporate gifts and more. Since 1917, our customers have been enjoying our legendary steaks, gourmet beef specialties, ocean-fresh seafood, perfect pork and poultry, decadent desserts and more! Omaha Steaks offers something sure to please everyone on your list! Shop online, by phone, mail or fax, as well as at any Omaha Steaks retail location.